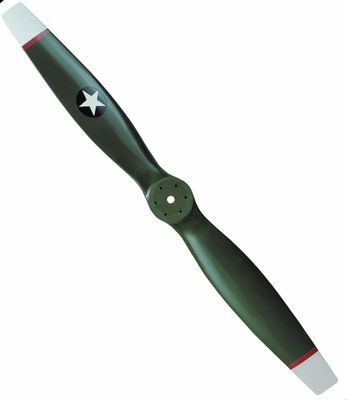 Our Vintage Wood Propeller with Star Roundel, size medium, is a cool looking decorative airplane propeller ideal for a smaller wall space or airplane bedroom. 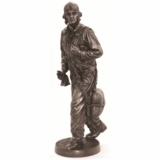 At Tailwinds we seek out merchandise that is of the highest quality, and the fact that this decorative propeller represents some interesting aviation history is a plus. This star roundel, or insignia, is based upon the one used by the Army Air Forces from May, 1942 to July, 1943. While the Army Air Forces used a white star with blue disk, our disk is black, we think the choice of the army green color of propeller really compliments the star roundel. The blades are finished with attractive white tips with a deep color red stripe for an extraordinary look. Hanging hardware is included. 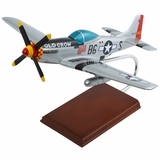 Want the same decorative propeller but larger? Click on the link for the Large Vintage Propeller with Star Roundel.